Photo by Steve Rainwater, Flickr CC. Feminism around the world looks different as a wave of emerging movements run by youth activists is gaining ground. Anna-Britt Coe reports in her article, ‘I Am Not Just a Feminist Eight Hours a Day’: Youth Gender Justice Activism in Ecuador and Peru, that young activists have set an agenda to end gender inequality that they see as distinct from their predecessors—and they enact it using different strategies. Using data from 21 interviews with men and women who identified as youth gender activists, Coe parsed out how these young feminists are different from the generation that initially mobilized them. Instead of focusing on institutional shifts, young activists have set their sights on day-to-day interactions in which sexism still runs rampant. 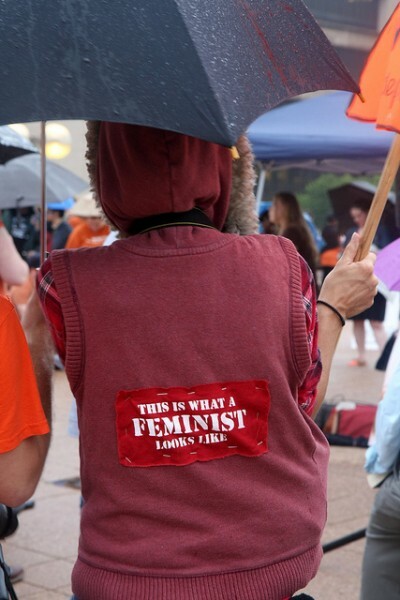 They prioritize bringing their feminist views into their daily lives and using grassroots efforts to educate those around them, rather than gunning for legislative change. Abortion demonstrates the differences between what Coe calls “professionalized adult feminism” and youth activism. A professionalized adult feminist might try to legalize abortion in Peru and Ecuador. That’s an uphill battle. Youth activists, however, try to work around the system through powerful tools like a hotline that provides medically accurate information about how to obtain a safe (if still illegal) abortion. They also take every opportunity to educate the people around them in both formal and informal environments. Youth activists emphasize that their feminism has no limits. It is intrinsically linked to the entirety of their lives. Equipped with enthusiasm, passion, and dedication to equality at home and in intimate relationships, they are, like their forebears, a force to be reckoned with.